This holiday season, give a homemade gift from your kitchen. 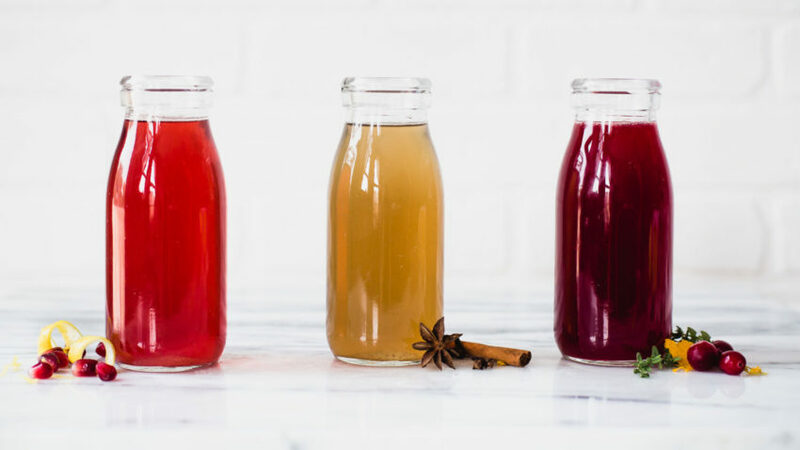 Handcrafted simple syrups are an easy, thoughtful gift that will jazz up any cocktail, latte, or dessert recipe. These can be easily adapted to personal taste, plus they’re vegan and gluten-free. Simple syrups keep for four weeks when refrigerated, or you can pour them into ice cube trays and freeze for future use. 1. Combine ingredients in a medium pot, stir, and bring to a boil. Reduce heat and simmer 8 to 10 minutes, stirring occasionally. 2. Remove from heat and pour fruit, spices, and liquid into a strainer over a large bowl. Let the syrup cool. 3. Add simple syrup to glass jars for storage or gifting.